The Wandering Wheelers SUNday FUNday in Tamarindo! 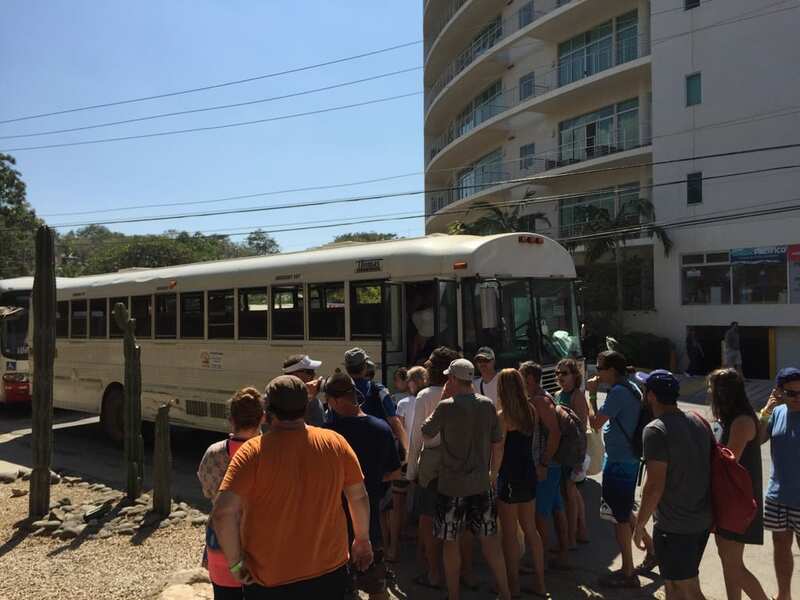 There are so many excursions and activities to do around Tamarindo that it can be difficult to decide what to do…When we, The Wandering Wheelers, heard about the Beach and Pool Crawl, which occurs every Sunday, we weren’t sure what we were getting ourselves into, but we went for it anyway and we are so glad we did. 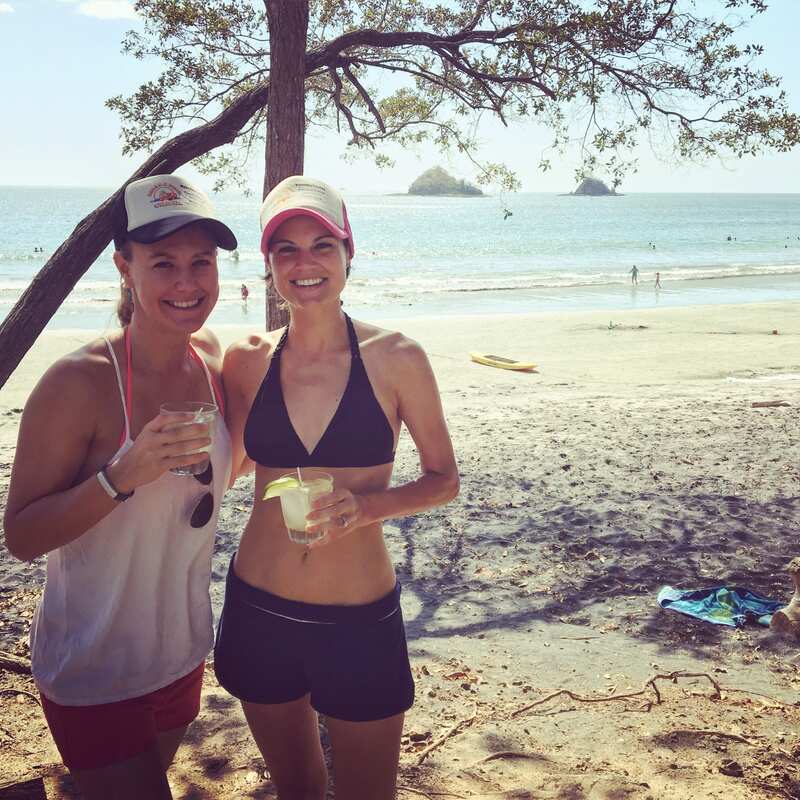 We loved this activity so much that we went on it not once, but twice during our 6 week stay in Tamarindo! Below are the top five (5) reasons why we loved the Beach and Pool Crawl so much. 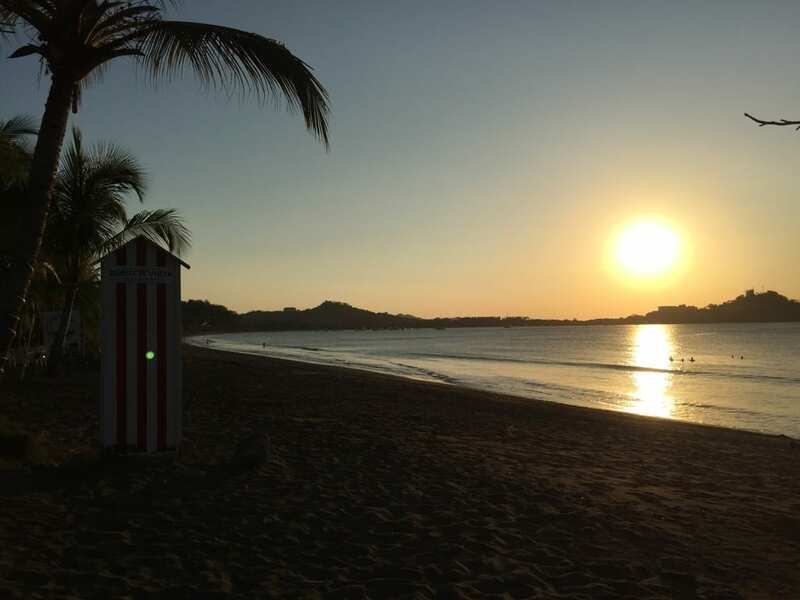 There are so many amazing beaches in the Tamarindo area, but unless you have a car (expensive!) and knowledge of where these beaches are located (who wants to spend their vacation doing research? ), you most likely won’t be visiting any of them. That’s why the crawl is so awesome! You don’t have to worry about renting a car, driving/navigating the unmarked roads of Costa Rica, or researching what beaches are actually worth it to visit. This well organized adventure takes that logistically headache away by providing the transportation and navigation needed; leaving you free to eat, drink, and be merry all day long! 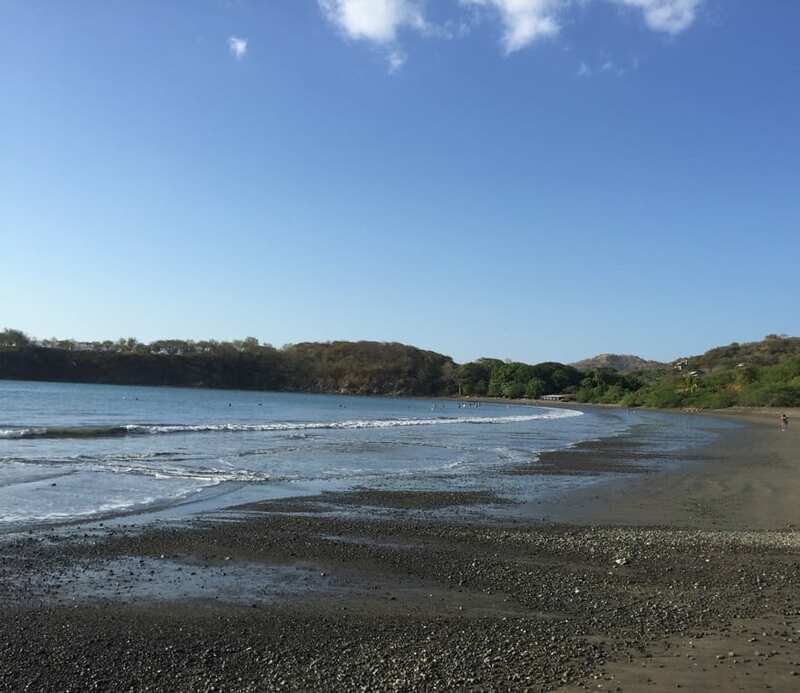 Everyone knows Costa Rica has amazing beaches…so don’t you want to see/experience as many of them as possible!? The crawl takes you to 3 different bars on 3 different beaches with 3 completely different settings/vibes, leaving you feeling as though you have seen and experienced all the beautiful Costa Rican coast has to offer! The Costa Rican sun is HOT, and there is no better way to cool down than by enjoying delicious and tropical adult beverages. Not only will you receive a free welcome drink upon arrival at each of the bars, but you will also be privy to happy hour pricing on drinks at 2 out of the 3 bars! The Guarro Sours, Margaritas and Mojitos were our favorites! 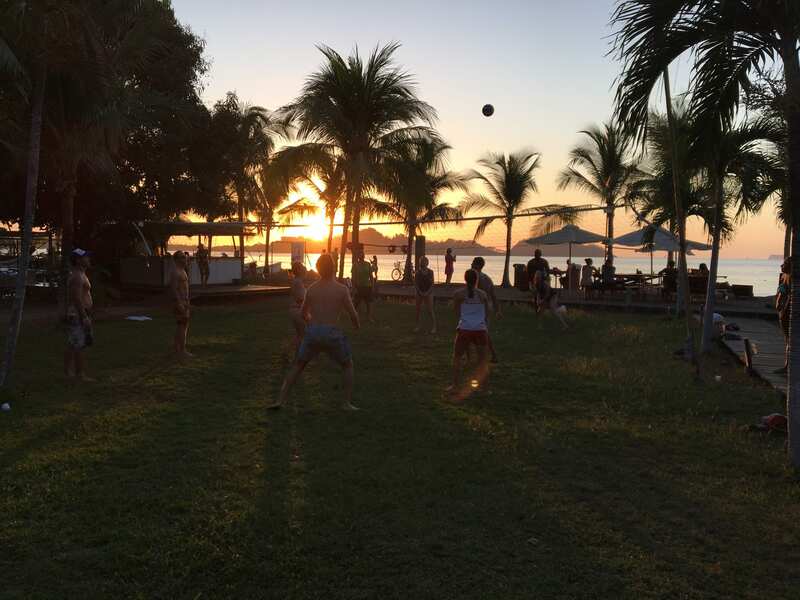 The crawl always offers a game of beach volleyball, and this is truly where the strangers you’ve been swimming and drinking with all day become friends. 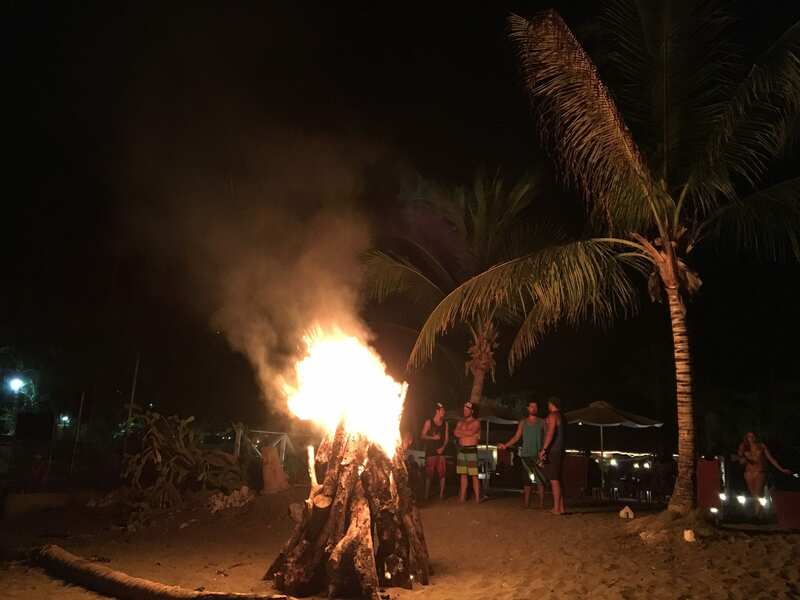 The evening will end with a giant bonfire on the beach as the sunsets on your day at the beach. But wait, there is one last activity that you don’t want to miss. There is ALWAYS an impromptu karaoke/dance party on the bus ride back to Tamarindo which helps distract from the fact that the crawl really is coming to an end. 5) Peter (Pedro) and Kelsea are Loads of Fun! We highly recommend this activity! Bring a towel, sunscreen, a smile, some $$ for food and drinks, and you are all set! About The Wandering Wheelers: The Wandering Wheelers are digital nomads. They live and work while traveling the world and love sharing their adventures with others on their travel blog. Feel free to follow their adventures on Facebook or Instagram @thewanderingwheelers.